Meghan & Jason met online and pretty soon into their relationship they decided to ditch their jobs for 6 months and travel the world together! They stopped in Nepal, China, Europe, New Zealand, to name a few. They even started a travel blog called SEE RUN DO where they document their adventures seeing, running, and doing things all over the globe! 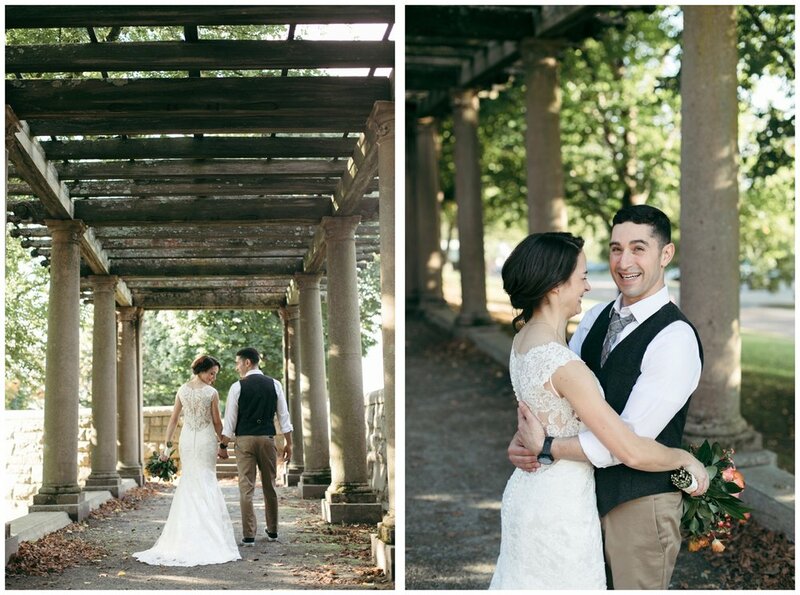 They met in Boston and Jason loves cars, so the LARZ ANDERSON AUTO MUSEUM was the perfect spot for them to get hitched. 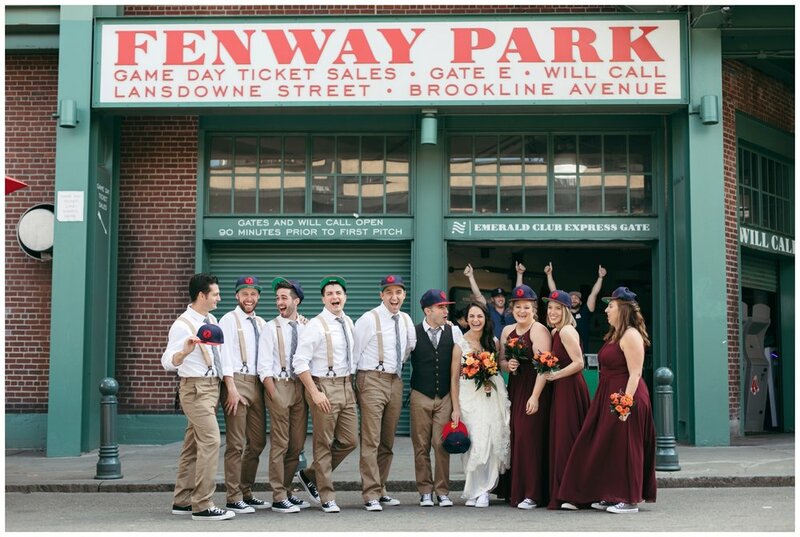 They were also excited about getting married on the grounds on top of the hill with the Boston skyline in the background. 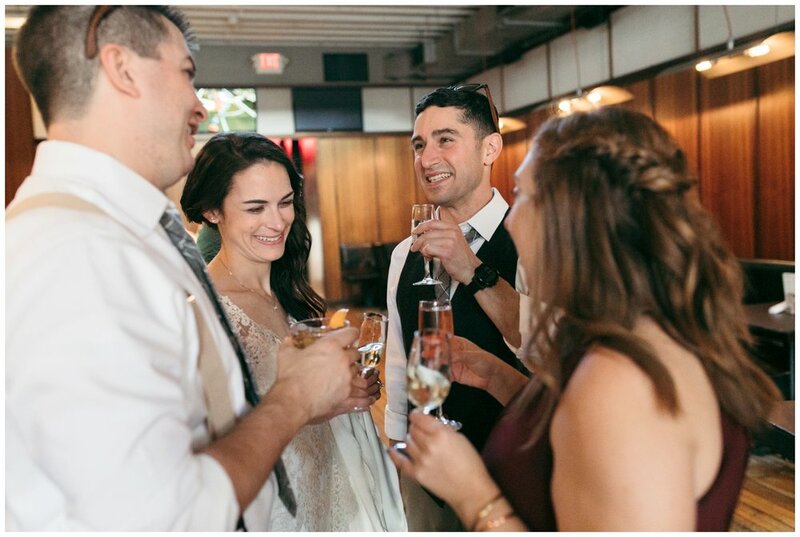 They knew the party was the most important part of the day, so we built the timeline based on having fun exploring around Boston for portraits and capturing as much craziness on the dance floor as possible. The two are SO organized- I felt like they were doing my job for me! 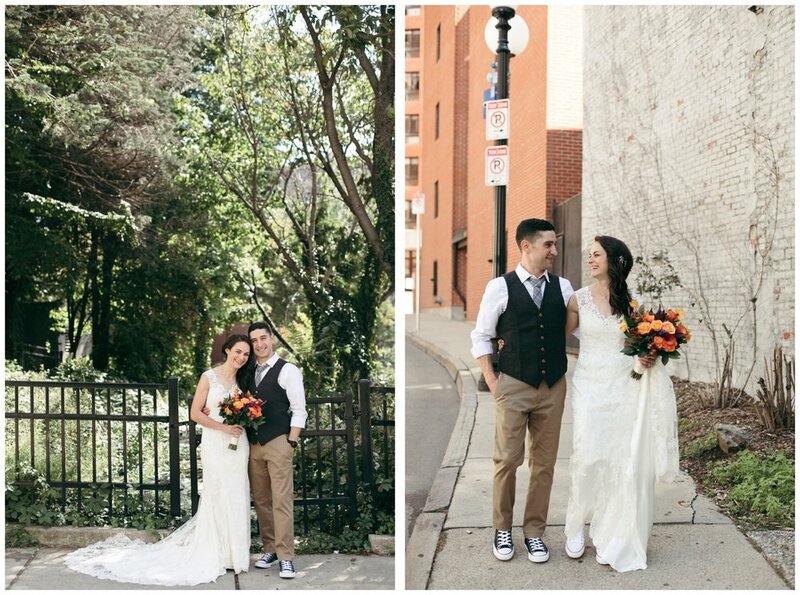 They didn’t even hire a wedding planner, and everything still worked out perfectly! They kept checking in with me to make sure we were on schedule and that we’d be able to do everything they had planned. They were so calm, and just went with the flow. I’m sure all of these skills are necessary if you’re going to travel the world and maximize your time while also feeling present and enjoying it. 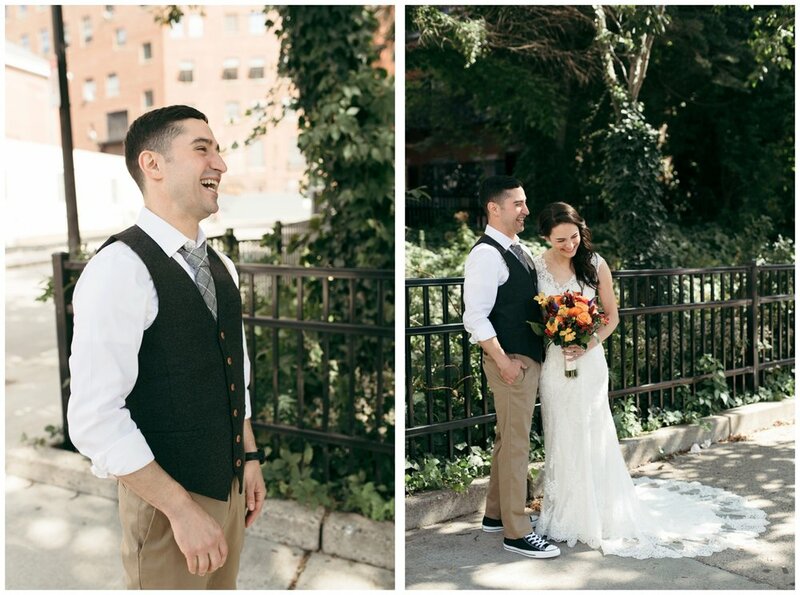 We started out in downtown Boston at the COURTYARD MARRIOT where they got ready, and had a quick first look in a nearby park to get rid of the jitters. They just couldn’t stop laughing together, it was so adorable! Right afterwards we were planning on a Hummer limo picking up up to take us around Boston, but it arrived over 30 minutes late due to traffic. 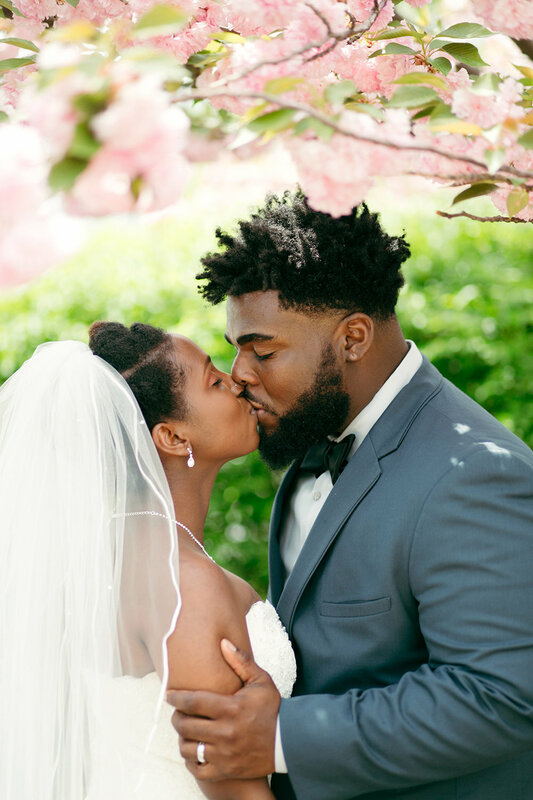 These things happen, especially during city weddings, which is why I always incorporate extra buffer time in between every item on the timeline. So despite that hiccup, we were still able to do everything on their list! 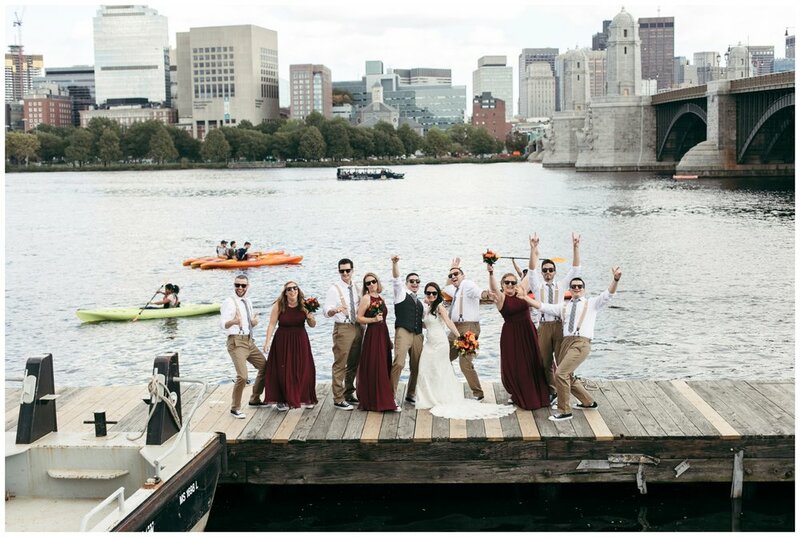 First we stopped on the Charles River to get some portraits by the water with the Boston skyline in the background. We climbed down to a dock which made a nice portrait spot as well! Next up was FENWAY PARK, which I was weary of because a Red Sox/Yankees game was scheduled for that day, and I expected it to be a zoo! But all the fans must have been in the stadium because the streets were surprisingly empty, and we were able to get some awesome portraits without too many photo-bombers. 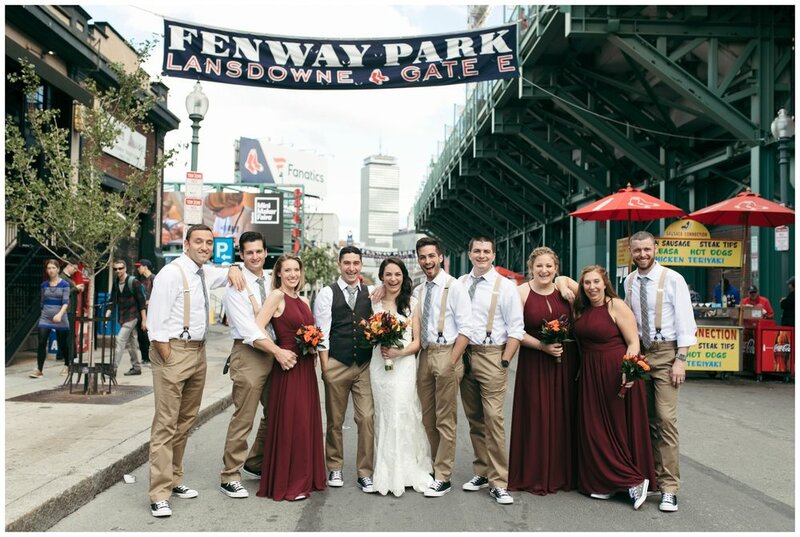 Then we stopped by AUDUBON, a bar right by Fenway that they frequent, for a quick beer before heading to the ceremony. They knew we were coming by, and even made up a custom menu with the couple’s names on it! 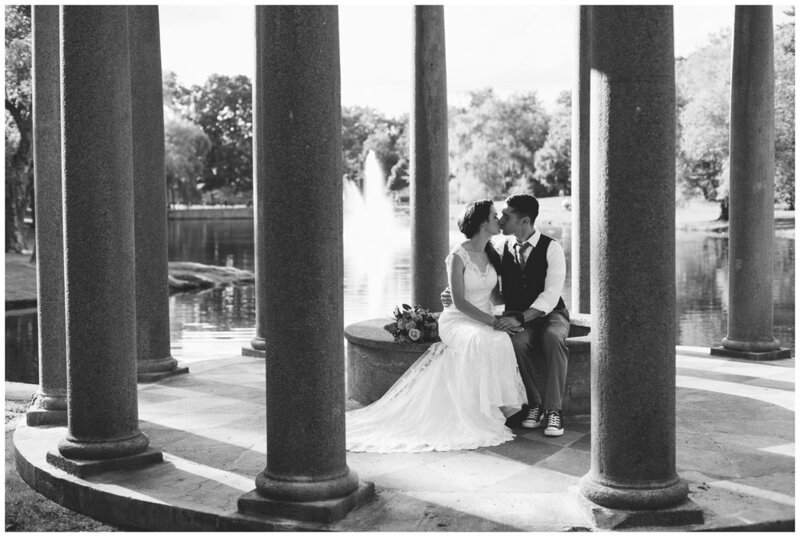 Once we got to Larz Anderson Park, it was family portraits, ceremony, and then reception. 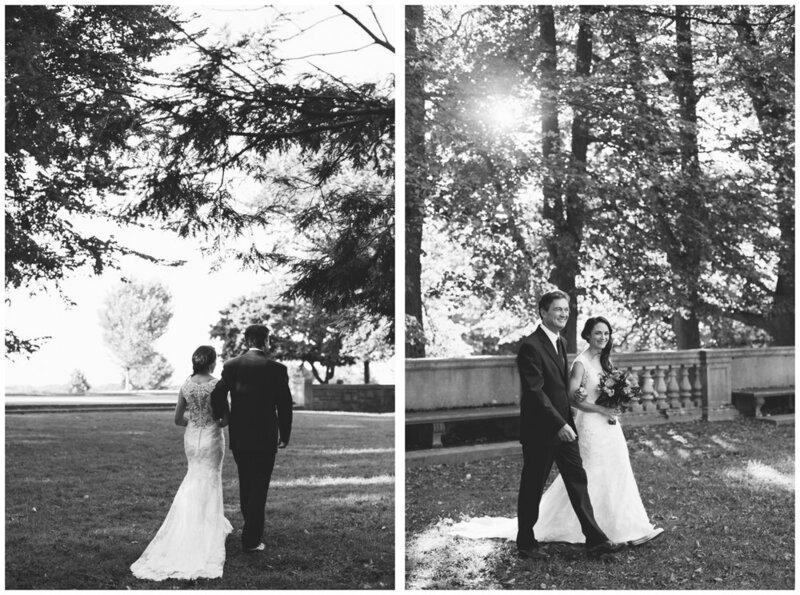 It was a late September wedding, and the weather couldn’t have been more perfect! We were able to spend the whole day outside- portraits, ceremony, cocktail hour, and even reception in a tent on the lawn. Needless to say, traveling and exploring is a big part of their relationship, so Meghan put together a bunch of globetrotting themed DIY decor and sprinkled it throughout the space. Knowing the importance of their roots and supporting local businesses, they made an effort to source all the food and drinks locally. All the alcohol (beer, wine, and spirits) were from the area, and they used empty beer growlers from local breweries as centerpieces. Jason even made a home-brew as his signature drink: a double IPA called the “See Run I Do Brew.” See what they did there?! They were also super stoked about the food trucks- THE COD SQUAD and PHINIX GRILL- that served up appetizers for their guests during cocktail hour. They even had the famous COOKIE MONSTAH FOOD TRUCK come by for a late-night dessert! The whole night was full of love, libations, and LOTS of dancing. Not surprisingly, Meghan & Jason have an EPIC honeymoon plan trip, which consists of seeing all 7 continents together, while also learning Spanish. They intend to continue checking off and adding items to that proverbial bucket list, and doing it all side by side. These two are just so cool, and I’m so excited for what adventures lie ahead of them!